Antonio transforms lackluster rooms into works of art with color and personality. Antonio is put to the ultimate test: make over his home in just five days. The Design Star winner overhauls and updates rooms with his eclectic design style. 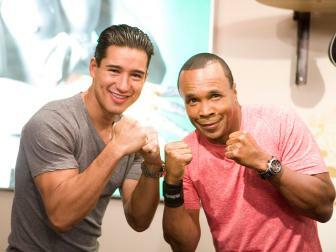 Antonio transforms Mario Lopez's gym with a boxing-inspired design and surprises him with a visit from Sugar Ray Leonard. 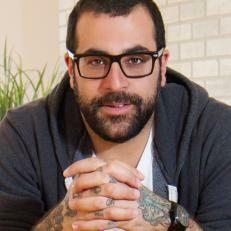 Antonio went from being a L.A. set designer to the winner of HGTV Design Star season 4. Season four Design Star winner Antonio Ballatore transforms lackluster rooms into radically original spaces. Under the mantra "go big or go home," Ballatore takes ordinary rooms that are beige and boring and gives them The Antonio Treatment. Mike and Monique Alvarez are self described world travelers. They've journeyed throughout Asia, Europe and all across America. Antonio and the team are taking the couple's love of travel as their inspiration and creating a sophisticated, vintage, American road trip inspired master suite worthy of these two intrepid travelers. The room comes to life as Antonio combines reclaimed wood, vintage and custom furniture along with Native American inspired textiles and colors. 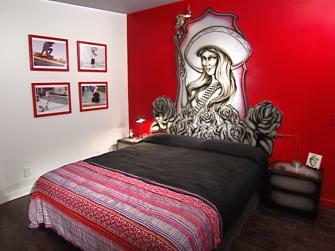 The sleeping area of the room is set off with a custom headboard and a antique dresser that's given a one of a kind makeover by one of Antonio's favorite edgy artists, Buck Wild. The seating area shows off high end photography, a wall sized mural and custom curtains that are distressed Antonio style at the shooting range. In just four days the crew tackles this chic Americana makeover and transforms the space in a one of a kind way. Nicole and Erin have a bland, white living room with a challenging layout. Their bulky furniture is awkward in the space and their fear of color holds them back. Antonio and the team come to the rescue and give the girls a chic and funky bohemian inspired space. To better utilize the room's strange layout, the will team create two rooms that serve separate purposes but flow together. The new space will showcase a cozy reading nook and custom geometric shelves while the other side of the room will features a one of kind wrap around couch complete with a queen sized chaise lounge. To help the couple get comfortable with color, exotic peacock blue paint and a Botticelli inspired wall mural adorn the walls. The room is now a comfortable, chic, and usable space that's a total conversation piece.